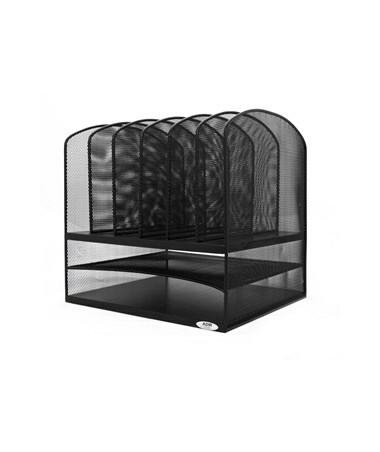 An ideal desktop accessory, the Adir mesh desk organizer has a simple and elegant industrial look and sturdy metal construction. 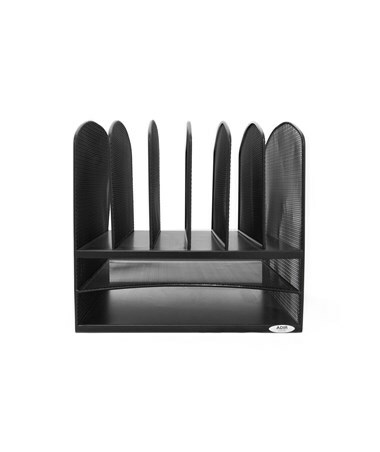 The Desk Organizer comes with two horizontal and six upright sections. 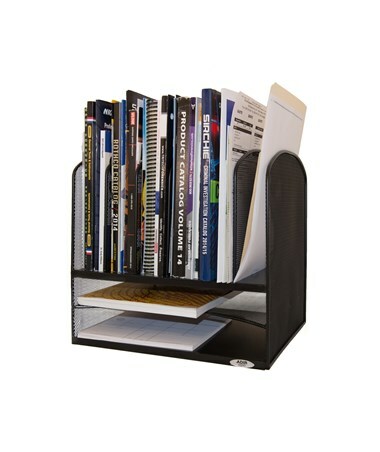 Designed to organize file folders, binders, notepads and more, this organizer's 11-3/8 x 13 x 13-1/2 inch space-saving design gives you a total of eight storage compartments in a small footprint. 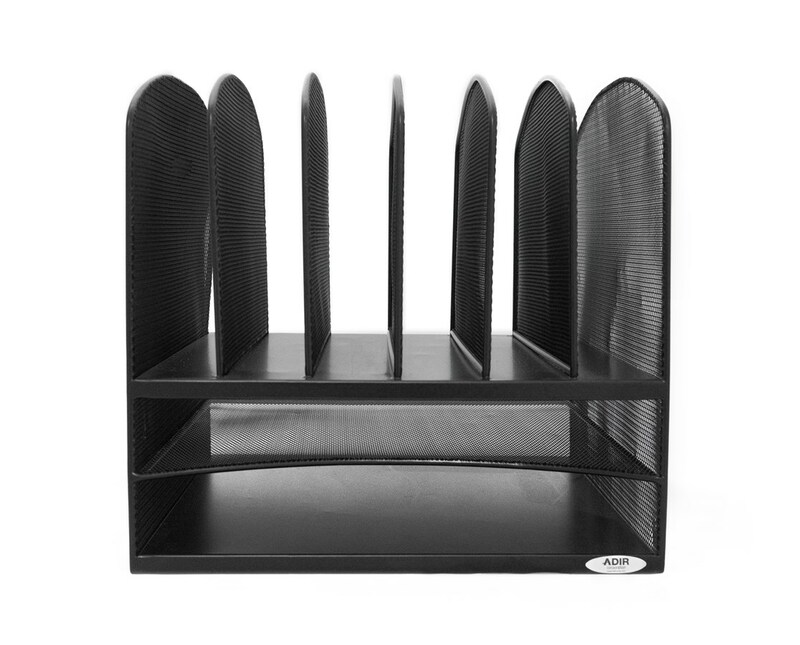 Each compartment is 2” wide. 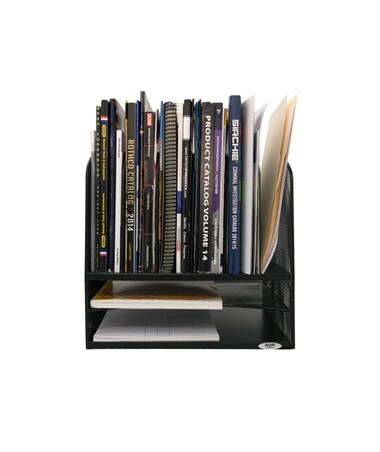 A perfect desk storage that is easily accessible and keeps your desk clutter-free.